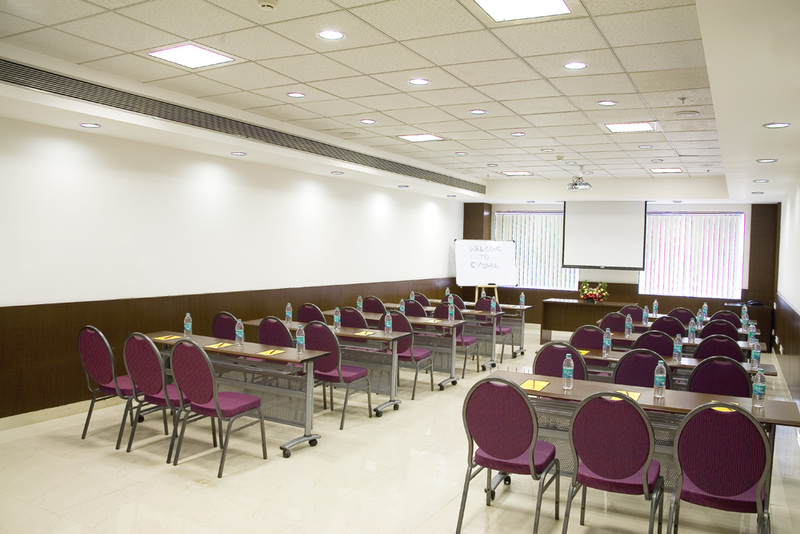 One of the hallmarks of a successful event is the seating arrangement, the view that participants have. If all your attendees have a clear view of the speaker, stage or spotlight area, they’ll be more likely to feel like they got to see and hear something worthwhile. By the same token, the speakers on stage have to get a clear line of sight that takes in the entire audience as a whole, and also should be able to look each and every attendee directly in the eyes. So now you know what the goal is, in terms of getting the seating arrangement right. How to decide which type of seating is right for your event, the number of attendees, the size of the event venue, duration of the event, etc.? Based on our experience planning and hosting events daily, here’s a guide outlining the different types of seating arrangements. 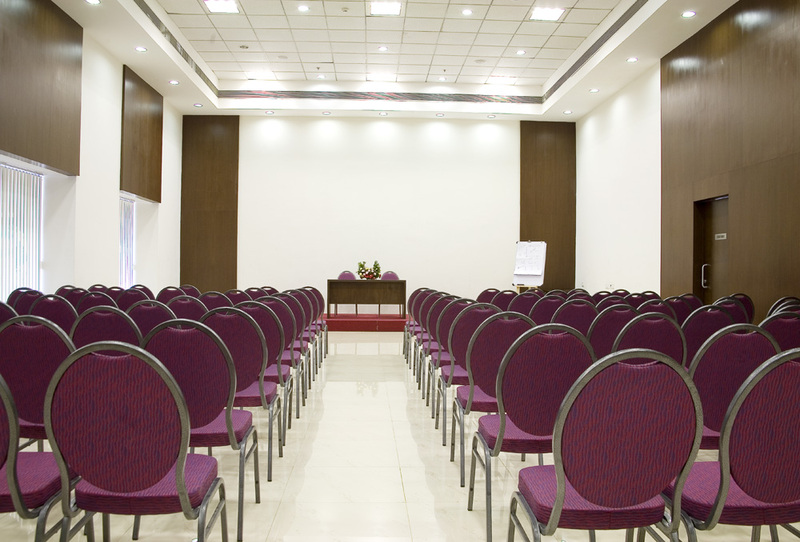 This type of seating arrangement is ideal for gatherings and events of over 150-200 people. The neat rows of chairs optimizes the available space to fit in a large crowd, in case you get more attendees than expected. It also ensures that people are able to walk through the aisle without disturbing others. The aisle in between also ensures that everyone in all the rows from front to back have a clear view of the stage. A classroom style seating arrangement has desks for 1 to 3 participants each. 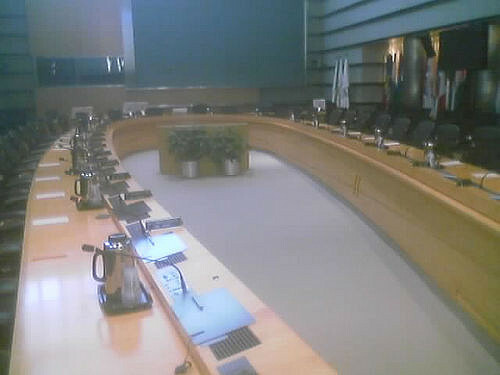 The desks are in rows like the auditorium arrangement above, but separated from each other into smaller sub-groups of three people on each desk. 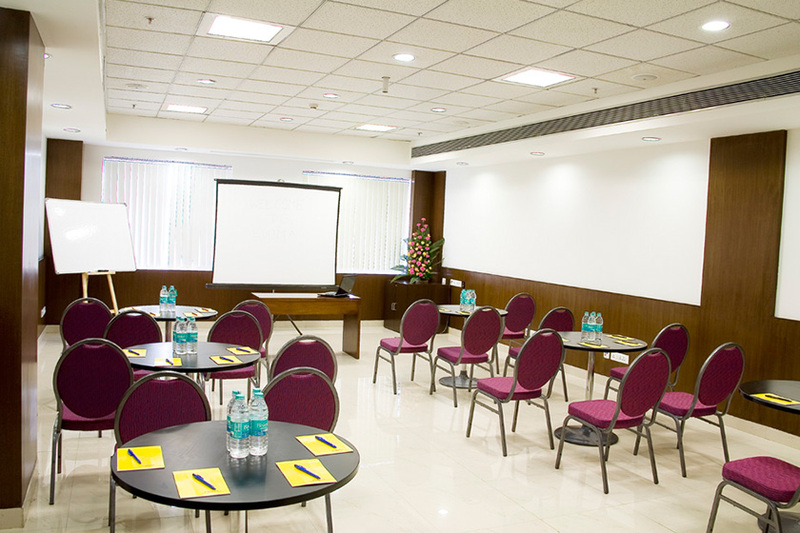 This is an ideal arrangement for training sessions and workshops that are a part of the agenda during conferences and exhibitions. This is a more casual version of the classroom type of seating. Smaller groups of 3-4 attendees are seated at each table, but they may not all be necessarily facing the stage. This kind of seating arrangement is ideal for breakout sessions after an event, where groups of attendees can meet and network while still being a part of the larger event in progress. The hollow square is an innovative adaptation of the conventional boardroom seating arrangement. The hollow square in the center provides a bit of extra space for people on either side, and allows leaders of both sides their own seating space in the center. The functional aspect of the hollow square in the middle is that it can hold a tripod camera and projector in the center of the table, to record the proceedings and/or project video on to the screen. The art of corporate warfare is dependent on being perceived as a business leader and a winner, and you need a boardroom that can showcase and project these qualities in front of clients and/or an opposing team. Calling a meeting in a boardroom like the one above is as good as calling the shots, because the other team will be appropriately impressed even before the meeting starts. 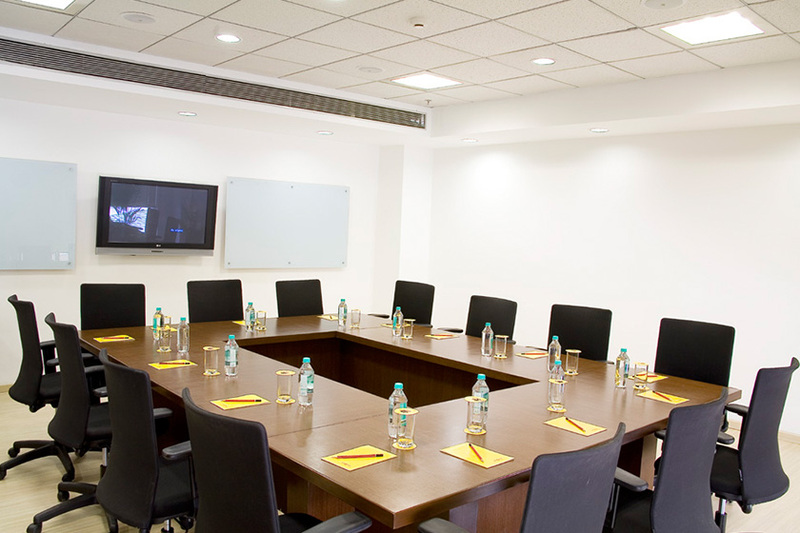 That’s the kind of boardroom you want, which can win a deal for you just because of the seating arrangement. It’s a combination of the boardroom above and the hollow square. The U makes it simple and accessible for your tech team to set up the tripod and camera in the center. The image below shows the World Bank’s horseshoe shaped boardroom. One of the things we do very well is to provide breakfast, lunch and dinner for all the startups and SMEs and corporate branch employees who work at our business center all day long. 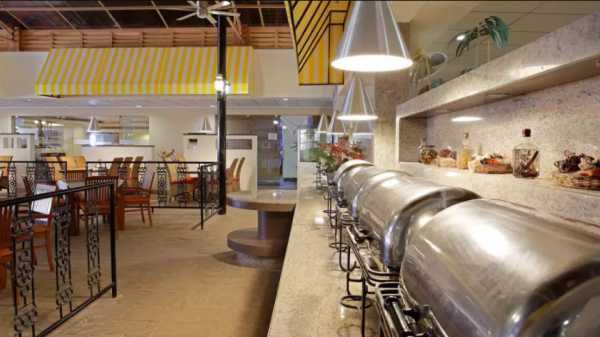 The Courtyard Restaurant also serves as catered event space, where events can be organized in the courtyard, with a buffet and food tables surrounding the crowd in the middle. If it’s an exhibition style event, we simply remove the tables and chairs to make room for the stalls, with the buffet set against the wall. It’s simple and convenient, and attendees don’t have to leave the event space to go for lunch. That’s one of the things that sets this arrangement apart from others, since people don’t have to choose between food and networking at events.